The Gallotti & Radice Epsilon Sola Pendant Light exudes quality and elegance. 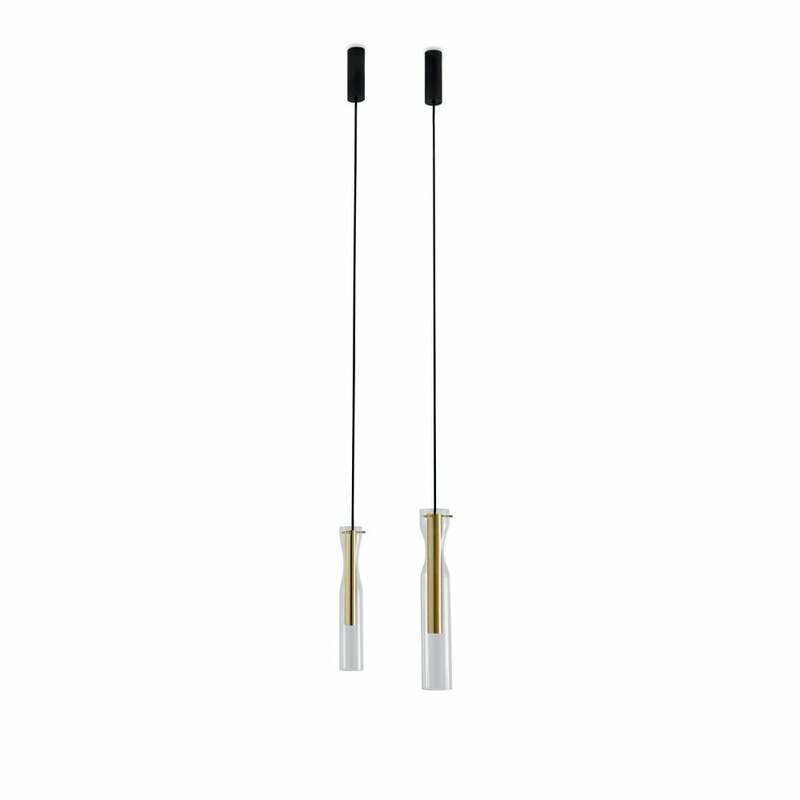 From the hand shaped glass cylinders to the bright satin, hand burnished, black, chromed or coppered brass metal parts, this simple and sleek pendant light will create a stunning focal point in any room. Founded in Milan, Italy in 1956, Gallotti & Radice have become revered glass designers, developing their inimitable style and innovative design combined with the highest quality craftsmanship to create timeless interpretations of their unique designer lighting. Style the Epsilon Pendant light above a statement dining table or take advantage of the 4metre cable to illuminate lofty spaces and stairwells. LED light (24 Watt). Handshaped glass cylinders. Bright, satin, hand burnished, black chromed or coppered brass metal parts. Supplied with 4mt long cable.